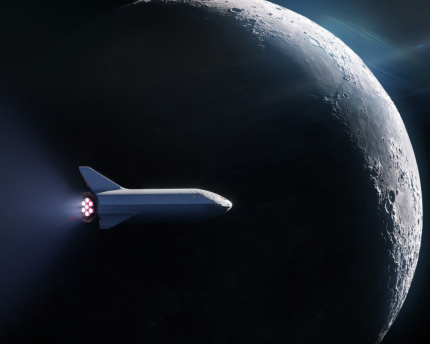 Yusaku Maezawa hopes to travel to the moon in 2023. Here’s the deal: You spend a week in space, dressed like an astronaut, with all the comfort and discomfort that comes with it. In return, you become one of roughly two dozen people in history to have orbited the moon. Maezawa’s trip is planned for 2023. The spacecraft will be launched on the firm’s Big Falcon Rocket and will come as close as 125 miles from the moon’s surface, according to SpaceX. It will then complete lunar transit and return to Earth. Maezawa wishes to take six to eight artists on the trip. Asked how much he paid to be a moon tourist, Maezawa said he could not answer, but it would be free for the artists. When asked if he made a down payment of any kind, he said, “Yes, I did,” but did not elaborate. At the announcement, Elon Musk, SpaceX founder, said he thought there should be regular trips to the moon, along with a lunar station.